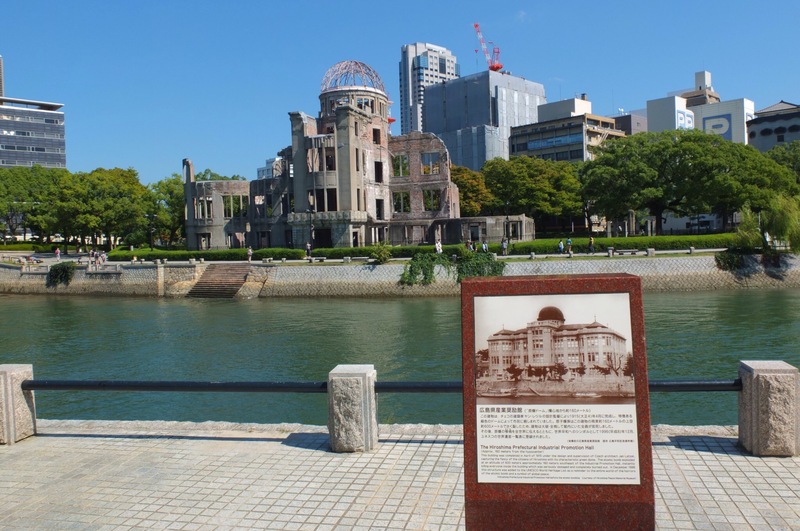 Tourists in Hiroshima mainly view all the atomic bomb related sights and that’s what I did too. 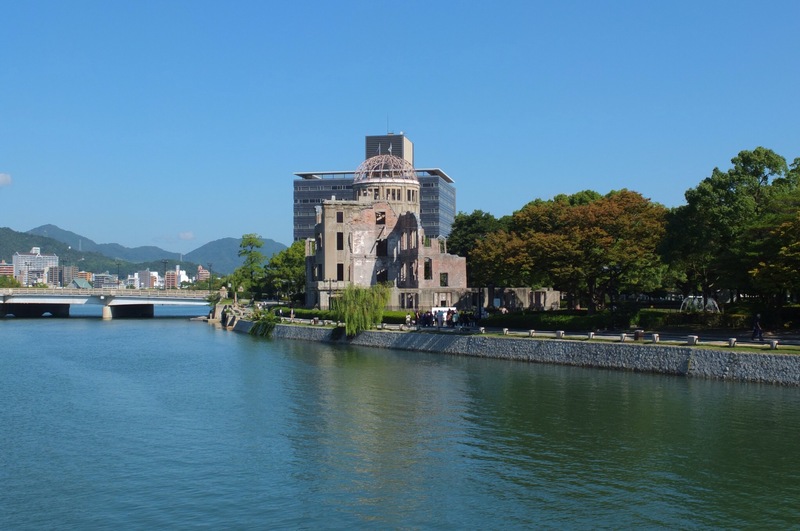 There’s a big park and lots of memorials to remind about the terrible history that made Hiroshima famous. On 6 August 1945 an atomic bomb was dropped by an American bomber, in the hope of ending the war once and for all. Unfortunately it also ended the lives of 180,000 people, if not more. As a direct result of the bomb blast thousands died straight away but many more thousands died weeks, months or years later from the after effects of the bomb. The bomb actually detonated at an altitude of 600 meters right above this building. 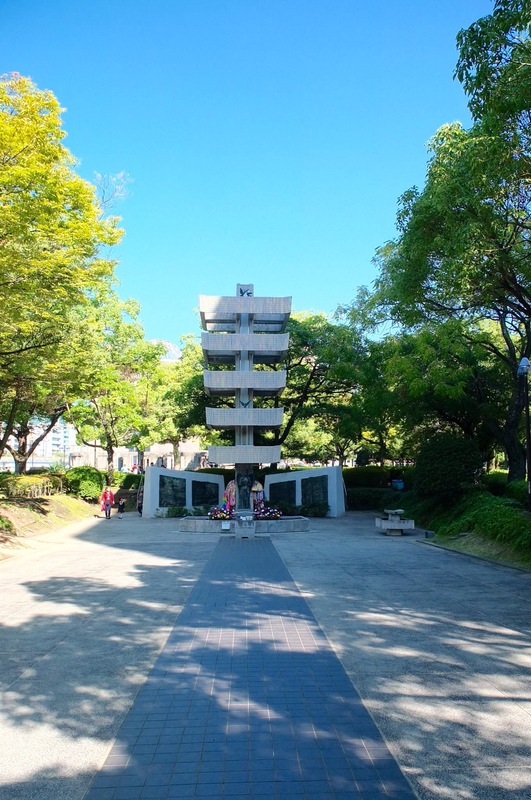 And for some miraculous reason the structure remained somewhat intact, so the government decided to leave the building as a memorial. Here’s a picture of what the building looked like before the bomb detonated. There’s a famous story about a girl who survived the bomb blast but almost 10 years later was diagnosed with leukemia (just like many others). 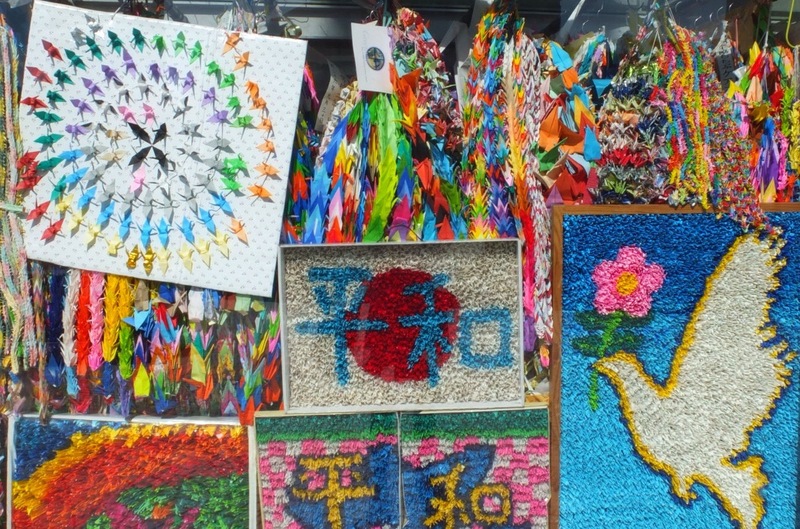 When she was hospitalised she decided to fold 1,000 origami paper cranes. 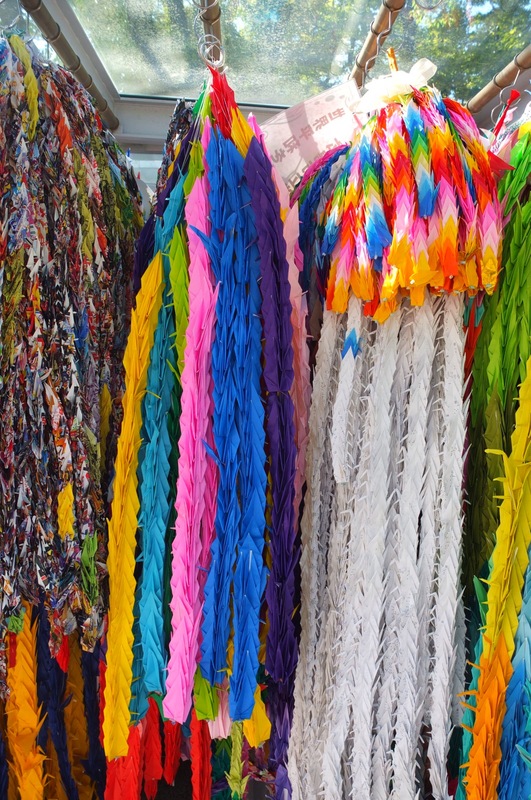 An ancient Japanese story says that you are granted a wish when the cranes are completed. Unfortunately the girl died before she completed the 1,000 planes but her friends finished folding them for her after her death. 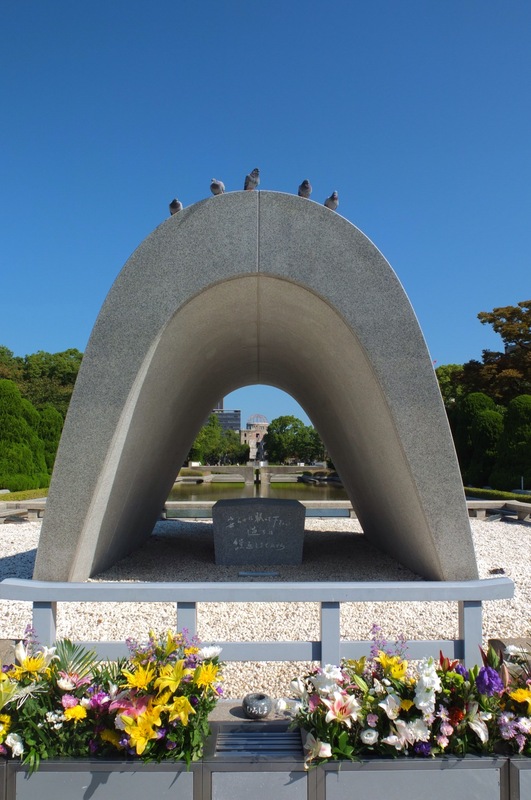 Since then many children all over the world have folded paper cranes and they are exhibited as part of this memorial. I also visited the museum which had lots of photos and eye witness reports. The reports were really powerful and really made clear just how horrible this time in Hiroshima must have been. Very moving and thought provoking. hoffe Du bist gut in Korea angekommen und bist dem Taifun am Dienstag in Osaka noch entkommen ;-) Ich war da ja schon in Tokyo und hab nur noch ein abgeschwächte Version vom Taifun abbekommen. Mich hat der Alltag nun leider wieder und wenn ich Deine wirklich SEHR schönen Fotos sehe, da wünschte ich mich wieder auf den “Floating Garden” und einen Kaffee mit einer fremden in Osaka ;) Lass es Dir gut gehen in Korea oder bist Du schon in Vietnam?